Rincón is a gorgeous little spot in the northwest of Puerto Rico, known for its amazing weather and surf. Food-wise, you can expect some amazing fare, from tostones and rice and beans to fiery, spicy chicken to delicious concoctions involving rum and coconut. What you might not expect, however, is a mecca for vegan baked goods. However, the tide is changing, as Cake Gumshoes Margie and Kenny found out on a recent trip, when they attended the Farmer's Market of Rincón. 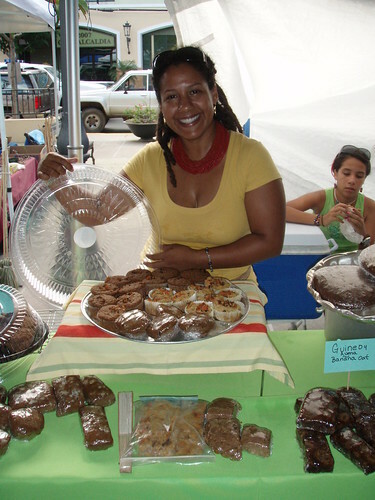 At the market, which takes place the first and third Sundays of every month in the town's main plaza, they happened upon Vanessa, a vegan baker (pictured top), who often takes part in the market. As our Gumshoes report: "We had a carrot muffin made with rice flour. It was the first time I ever had something vegan but it had a good flavor that got better with each bite and left a nice aftertaste." By the looks of it, these treats were delightfully moist, dense, and rich--we hope they packed some of Vanessa's wares to bring back home. 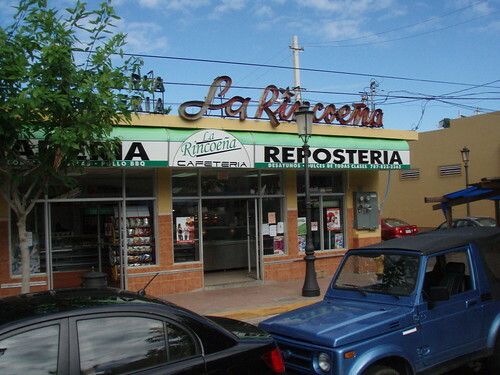 Interested in finding out more about Rincón? Visit rinconpr.com.